Home Are local students using e-cigarettes? E-cigarette use among young people has become an epidemic nationwide, according to the U.S. Surgeon General, and yes, it is happening locally. As a result, parents and community members should learn as much as they can about this topic (learn more here). Local schools, including Henning, Verndale and Wadena-Deer Creek, haven’t seen an abundance of students using e-cigarettes, but school leaders think it might be happening more than anyone realizes. Nick Grabe, school resource officer at WDC, said that many e-cigarette devices are designed to look like pens or USB flash drives and can be easily hidden or disguised. Mike Rowe, Henning Public School superintendent, believes e-cigarettes are especially dangerous to students because the common thought is that e-cigarettes are safer than traditional smoking. E-cigarettes are deemed healthier because they do not contain tobacco, which is made up of several harmful substances. However, most e-cigarettes DO contain nicotine, which is one of the harmful, highly addictive substances found in tobacco. E-cigarettes may also contain metals, arsenic, lead or other dangerous substances that are not yet known. Unfortunately, because e-cigarettes are so new, researchers have not had time to conduct in-depth studies. Van Den Eykel noted that e-cigarettes are only “healthier” if someone regularly using a traditional tobacco product switches to them. 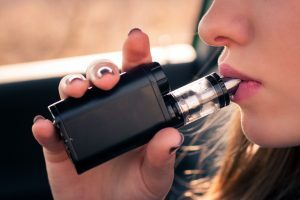 If a student who is not a smoker begins using e-cigarettes, they introduce a new harmful habit that could lead to more dangerous tobacco or drug use, especially if they begin at a young age. With the product being so new, knowing as much as possible about e-cigarettes is key to stopping the epidemic. Schools across the area have stepped up and taken the initiative. Verndale Public School recently gave a presentation to staff, parents and students about the dangers of e-cigarettes. Henning Public School has begun educating teachers and hopes to expand that education to parents. WDC brought in Wadena County Public Health to educate its staff and plans to offer a presentation to freshmen. Officer Grabe also runs the D.A.R.E. program with sixth graders. Kids can use e-cigarettes anywhere, not just at school. This is why it’s important that parents take the time to learn all they can about the topic. Rowe noted that one of the misconceptions is that e-cigarettes give off smoke. This is not always the case, and e-cigarettes do not smell like regular cigarettes. Rowe encourages parents to reach out to their local school or county public health office if they have concerns about e-cigarettes or if they find their child using one. Students are also encouraged to talk to their parents or a school faculty member if they see e-cigarettes being used or if they want to know more about the dangers. 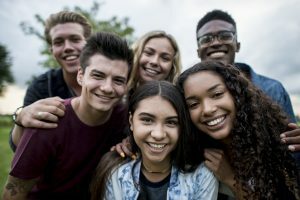 For more parent resources, the U.S. Surgeon General offers these tips on how to approach the subject with your child. The Centers for Disease Control and National Institute on Drug Abuse also provide a wealth of information about e-cigarettes.